Make a bangin’ turkey burger! 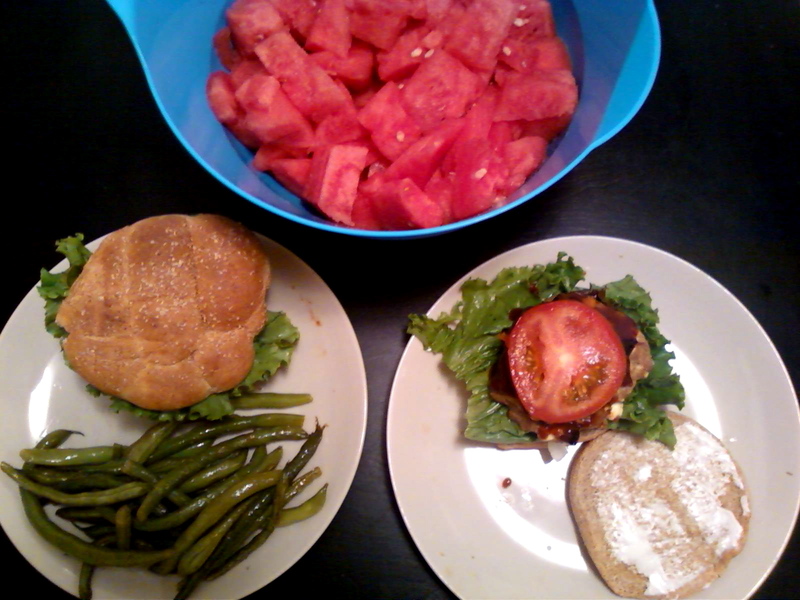 Despite my previous prejudice, I have developed a slight – but very real – obsession with turkey burgers. Because I am such a huge fan of the fat-filled, authentic and beefy American cheeseburger, I didn’t think burgers had a place in my healthy lifestyle. But it turns out that as long as it’s properly seasoned, garnished with good cheese, and has a dense and grainy bun, turkey burgers can be just as satisfying! Since ground turkey has significantly less natural zest than beef, it is pertinent that it be seasoned well. Use what you have on hand; somethin is better than nothin’! For instance, before I found my favorite recipe (listed below), I seasoned my frozen Jennie-O “All Natural” Turkey Burgers with Red Robin seasoning. I would also like to emphasize how important cheese is. Cheese is important – on any burger. 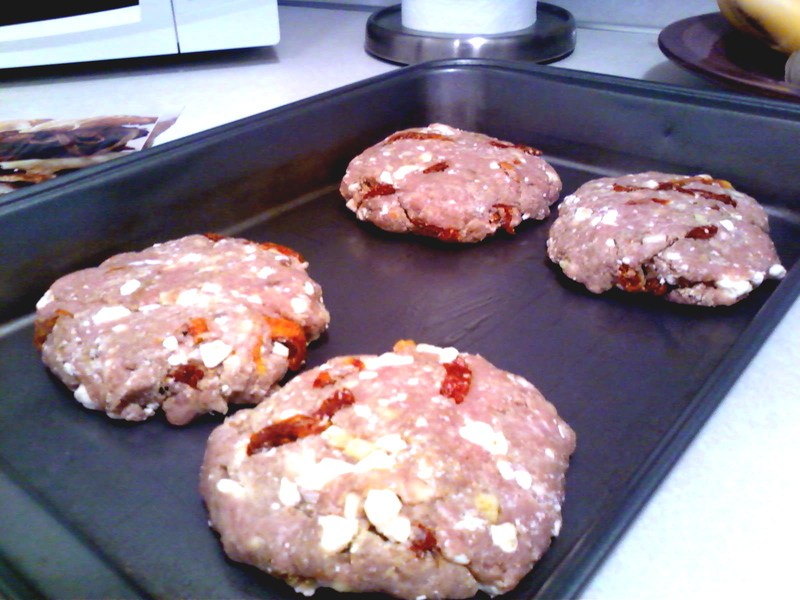 But especially turkey burgers need a little feta or Tillamook cheddar to complete the package. If you’re cooking frozen pre-portioned burgers, slap a slice of the cheese of your choosing on top of your cooked burger. Put a lid on it and wait for the magic to happen. My next point is about finishing off the details. I know that a lot of people “don’t care” about these finishing touches, but I think it really makes a difference in the quality of your meal. For example, dress the insides of your bun with a teensy bit of margarine, and toast them on the bagel setting of your toaster. Take the time to add a thin coating of light mayonnaise to your bun (if you like it). Slice some veggies like onion, lettuce and avocado to garnish your burger-to-be. The original recipe tells us how to make the burgers on a grill, but as many of you know, I don’t have a grill. So this version will tell how to cook burgers in the oven. When following this recipe, keep in mind that there is plenty of room for your own preferences. Depending on the day, you may want more or less garlic and sun-dried tomatoes. And depending on the size you want your burgers to be, this recipe could yield 4-6. I like quarter pound burgers, but you can also make 6 smaller sized burgers if you please. There’s also extra wiggle room for the brands you would like to use. I highly recommend using Dave’s Killer Blues Buns and Athenos Reduced Fat Feta Cheese, but suit yourself. Preheat oven to 400°F, with rack placed at center position. Lightly grease pan with oil. Combine first five ingredients and salt and pepper to taste in a bowl. Lightly mix together (I use my hands), and form into 4 patties. Brush them with olive oil. Cook burgers for 20-35 minutes, or until internal temp is 165°F. Toast buns for 2 minutes. Serve burgers on buns; garnish with barbecue sauce, lettuce, and onion if desired.